A columnist for The Sun newspaper launched an abhorrent rant just because a Muslim was wearing a headscarf while presenting the news for Channel 4. The hate in our news is shocking, but we can help stamp out the racist headlines. Former Sun editor, Kelvin MacKenzie wrote he could hardly believe his eyes when he saw Fatima Manji was reporting on the terror attack in Nice. “Was it appropriate for her to be on camera when there had been yet another shocking slaughter by a Muslim?” he asked Sun readers, and in doing so, used the megaphone of the UK’s largest newspaper to smear all Muslims as violent attackers. It's shocking news -- perpetuating a climate of fear and hate to sell papers -- but we can call it out. The Sun newspaper has launched a shocking attack on Channel 4 just because newsreader Fatima Manji reported on terrorism while wearing a headscarf. Fatima has already lodged a formal complaint -- let’s stand with her against racism and create the biggest ever mass complaint to the press watchdog. A columnist for The Sun newspaper launched an abhorrent rant just because a Muslim was wearing a headscarf while presenting the news for Channel 4. The hate in our news is shocking, but we can help stamp out the racist headlines. Former Sun editor, Kelvin MacKenzie wrote he could hardly believe his eyes when he saw Fatima Manji was reporting on the terror attack in Nice. “Was it appropriate for her to be on camera when there had been yet another shocking slaughter by a Muslim?” he asked Sun readers, and in doing so, used the megaphone of the UK’s largest newspaper to smear all Muslims as violent attackers. It's shocking news -- perpetuating a climate of fear and hate to sell papers -- but we can call it out. Now Fatima is standing against the hate with a complaint to the national press watchdog, and if we can help her turn it into the biggest ever mass-outcry against racist media, it could trigger reforms to stop the hateful headlines. "He has attempted to smear 1.6 billion Muslims in suggesting they are inherently violent. I will not be deterred... by the efforts of those who find the presence of Muslims in British cultural life offensive." Britain has seen a sharp rise in xenophobic incidents following the poisonous Brexit campaign, whose leaders stoked racial tensions. A shocking 500 reports of hate crime were recorded by police within a week following the EU referendum. We must tackle the toxic propaganda spewed by the likes of Kelvin MacKenzie and name it for what it is. 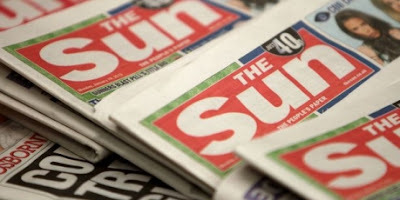 Britain’s press regulation is controlled by powerful editors who likely want The Sun to get off with a slap on the wrists, but if thousands of us back Fatima’s complaint to IPSO, we can either force it to take action, or reveal that it's toothless and demand reform to deters this kind of media. So let's use our own megaphone of love and unity to show that we welcome British diversity, we don't judge one's clothes, but actions. Let's unite in celebration of our diversity and call on IPSO to make an example of MacKenzie, and to hold the editors at The Sun to account. We’ve already built a giant call for Daily Mail editor Paul Dacre to step down over his campaign of hatred against foreigners. Now let’s demand action against The Sun’s racism and take a step towards the media our country needs and deserves!